Of course I oppose slander and abuse, but I also reject any form of censorship and thought control. Even though, more than anyone else, I have been the target of vile slander, I will not sign this petition nor will I support it. The petition pledges to “block”, “delete” and/or “remove” those who behave in such a way as to interfere with ‘unity’. Do I have to remind our activist ‘undersigners’ that while ‘unity’ is not exactly a value, truth, justice and freedom most certainly are? Rather than blocking the JVP leadership for tagging Ken O’Keefe as a ‘prominent Neo Nazi’ or associating Alison Weir with ‘White Supremacism’, we have to deal with the problem by openly questioning why these tactics are prevalent within certain Jewish groups - both Zionist and anti-Zionist - and why they keep appearing in our midst. And at the same time we must encourage our Jewish liberal ‘allies,’ as they call themselves, to search their souls, self-reflect and then to mend their ways. I suggest that those who signed this petition bear in mind that the solidarity movement is not the ‘end’ nor is it the ‘goal’, it is only the ‘means.’ And our precious ‘unity’ is insignificant and redundant unless we learn to exchange freely and without fear. Rather than turning this movement into an ‘ideological collective,’ driven by a quest for correctness, let it be simply a melting pot of thoughts, ideas and activism, but all aiming at truth and justice rather than at conformism and unity. Joan D'Arc: Obama Burning Innocents Like It's 1431! Today, May 30, 2015, is the 584th anniversary of the day on which Joan of Arc was burned at the stake by the British forces occupying France. The "Maid of Orleans" had the ill luck to be captured while she was rallying her countrymen to throw off the English yoke and a pro-English Bishop, Pierre Cauchon, after a grossly unjust trial, sentenced her to death by fire. "Bishop, I die through you!" she reportedly told him. 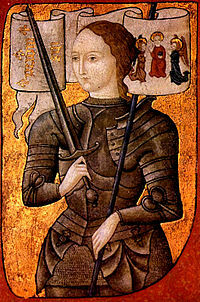 Saint Joan, as she is known since her canonization by the Roman Catholic church, was only 19. Despicable as the Bishop's conduct was, he at least made a pretense of a legal proceeding. Contrast this with the conduct of President Barack Obama, who likely may be responsible for the drone killings of more than a thousand innocent civilians across the Middle East, and who dispenses entirely with legal niceties. How is it that Bishop Cauchon is reviled for a single murder yet President Obama routinely wipes out human life on a grand scale and is not prosecuted? Perhaps an indifferent American public is proving Soviet tyrant Joseph Stalin correct when he told U.S. ambassador to Moscow W. Averell Harriman, "The death of one man is a tragedy, the death of millions is a statistic." The Bureau of Investigative Journalism(BIJ), London, a non-profit organization known for its meticulous research, reported last month that 515 U.S. drone strikes since 2002 have killed at least, 2,887 people in Pakistan, Yemen, and Somalia. The drone strikes, inaugurated by President George W. Bush, "increased during the Obama administration as did the number of casualties," the BIJ reported. And McClatchy news service, citing a leaked CIA document, reported "the CIA killed people who only were suspected"" of association with militant groups. "The 'honors' graduate of Harvard Law School President Obama has set himself up as the sole Judge, Jury and Executioner of thousands of human beings in violation of international law, human rights law, the laws of war and the United States Constitution. Harvard Law School taught me that makes Obama a felon and a war criminal and impeachable." "What kind of nation prefers to murder people without a trial? 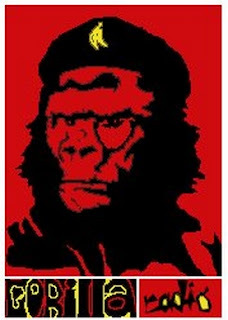 Would you call it Fascist, Communist?" 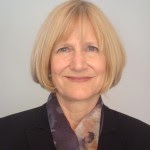 Swanson cites figures to show that, in Pakistan alone between 2004 and 2013, America made 372 drone strikes, killing between 2,566 and 3,570 individuals, of whom as many as 890 were civilians, including nearly 200 children---every one of them by definition---younger than Joan of Arc. Imagine, on this 584th anniversary of her death, a nation called America, a country whose evil genius has invented the deadliest killing machines ever, a country spending a trillion dollars a year on war, with 1,000 military bases overseas, and 11 battle fleets patrolling the Seven Seas, and troops in 175 countries, and with its lying spokespersons claiming it is all for 'defense,' is turning the clock back to the Dark Ages. Apparently, Americans have lost their sense of proportion, their ethics, their faith, their humanity, and worst of all, even their pity for the victims of their crimes. Saint Joan, be with us today! Sherwood Ross worked as a reporter for the Chicago Daily News and contributed a regular "Workplace" column for Reuters. 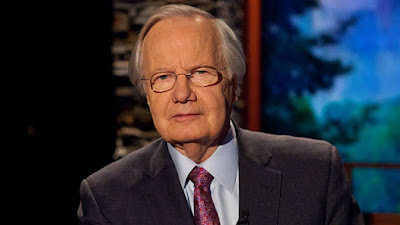 He has contributed to national magazines and hosted a talk show on WOL, Washington, D.C. In the Sixties he was active as public relations director for a major civil rights organization. According to the tracking site, marinetraffic.com [http://marinetraffic.com/], the Arctic Challenger is being tugged by the Corbin Foss, and will soon pass the Sechelt Nation. A spontaneous protest of "kayaktivists" is being organized by Candace Campo, cultural director of the Sechelt Nation, who just yesterday returned from a ship tour with Greenpeace to raise awareness about Shell's Arctic plans and the threat of increased tanker traffic on the coast. "Our role is to support the communication and awareness of the impacts of oil. This includes ongoing climate change and the risk of increased tanker traffic that Shell's Arctic plans bring to the coast — which will result in a potential or even inevitable oil spill along our coastline, including the Salish Sea, the waters that as a shíshálh, Coast Salish person, I am born to protect." A call-out on her Facebook page reads: "Say No To Shell! Arctic Oil Drilling! We are staging a protest, a kayaktivist, to say no to Shell at 9 pm tonight in Sechelt. Meet at the totem poles at the Sechelt community in front of the Church Talaysay Tours will donate the kayaks. We need banners, even made from Sheets that say No Shell! No to Arctic Oil; Yes to the Salish Sea! Bring your drums." Shell's Arctic drilling plans have been been the source of global controversy since they announced their intentions to drill in Alaska's icy waters more than three years ago. Since then, they have sunk more than $6 billion USD into the project. Earlier this month, hundreds of "kayak-tivists" gathered in Seattle to protest Shell's Arctic drilling fleet. Days later, two people chained themselves to the anchor of the Arctic Challenger. 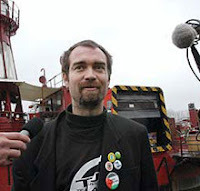 "People are protesting Shell's drilling fleet at every stage of its journey. From Seattle to BC to Alaska, these ships will continue to be met with fierce opposition. Shell might be the biggest oil company in the world, but the movement to save the Arctic — merging now with the movement to defend the coast against extreme oil — is stronger." 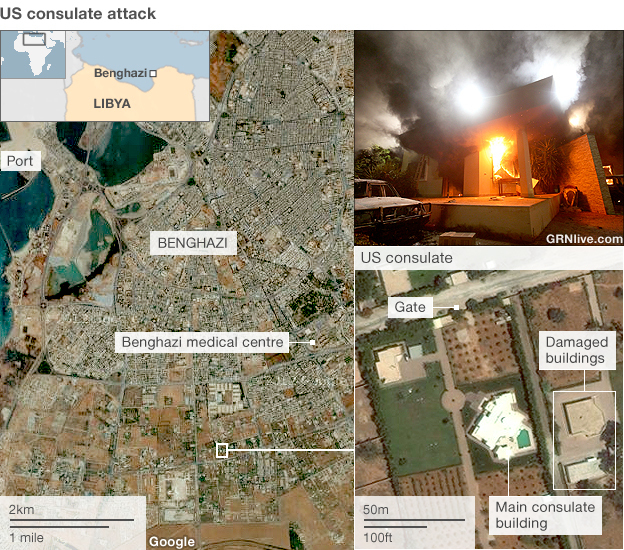 On September 11, 2012, the U.S. consulate in Benghazi was attacked. Four people were killed, including the U.S. Ambassador Chris Stevens and two CIA officers. Last January, the Citizens Commission on Benghazi concluded that the “Obama White House and the State Department under the management of Secretary of State Hillary Clinton ‘changed sides in the war on terror’ in 2011 by implementing a policy of facilitating the delivery of weapons to the al-Qaida-dominated rebel militias in Libya attempting to oust Moammar Gadhafi from power”, WND reported. The US and some of its European allies “are using defense contractors to train Syrian rebels on how to secure chemical weapons stockpiles in Syria,” according to “a senior US official and several senior diplomats,” CNN reports. of the Helen Bernstein Book Awards for Excellence in Journalism. The ceremony took place at the New York Public Library May 26, 2015. Thank you for allowing me to share this evening with you. I’m delighted to meet these exceptional journalists whose achievements you honor with the Helen Bernstein Book Award. But I gulped when [New York Public Library President] Tony Marx asked me to talk about the challenges facing journalism today and gave me 10 to 15 minutes to do so. I seriously thought of taking a powder. Those challenges to journalism are so well identified, so mournfully lamented, and so passionately debated that I wonder if the subject isn’t exhausted. Or if we aren’t exhausted from hearing about it. I wouldn’t presume to speak for journalism or for other journalists or for any journalist except myself. Ted Gup, who teaches journalism at Emerson and Boston College, once bemoaned the tendency to lump all of us under the term “media.” As if everyone with a pen, a microphone, a camera (today, a laptop or smartphone) – or just a loud voice – were all one and the same. I consider myself a journalist. But so does James O’Keefe. Matt Drudge is not E.J. Dionne. The National Review is not The Guardian, or Reuters TheHuffington Post. Ann Coulter doesn’t speak for Katrina vanden Heuvel, or Rush Limbaugh for Ira Glass. Yet we are all “media” and as Ted Gup says, “the media” speaks for us all. So shall I, briefly. One small fish in the vast ocean of media. I look at your honorees this evening and realize they have already won one of the biggest prizes in journalism — support from venerable institutions: The New Yorker, The New York Times, NPR, The Wall Street Journal and The Christian Science Monitor. These esteemed news organizations paid — yes, you heard me, paid — them to report and to report painstakingly, intrepidly, often at great risk. Your honorees then took time — money buys time, perhaps its most valuable purchase — to craft the exquisite writing that transports us, their readers, to distant places – China, Afghanistan, the Great Barrier Reef, even that murky hotbed of conspiracy and secession known as Texas. And after we read these stories, when we put down our Kindles and iPads, or — what’s that other device called? Oh yes – when we put down our books – we emerge with a different take on a slice of reality, a more precise insight into some of the forces changing our world. Although they were indeed paid for their work, I’m sure that’s not what drove them to spend months based in Beijing, Kabul and Dallas. Their passion was to go find the story, dig up the facts and follow the trail around every bend in the road until they had the evidence. But to do this — to find what’s been overlooked, or forgotten, or hidden; to put their skill and talent and curiosity to work on behalf of their readers — us — they needed funding. It’s an old story: When our oldest son turned 16 he asked for a raise in his allowance, I said: “Don’t you know there are some things more important than money?” And he answered: “Sure, Dad, but it takes money to date them.” Democracy needs journalists, but it takes money to support them. Yet if present trends continue, Elizabeth Kolbert may well have to update her book with a new chapter on how the dinosaurs of journalism went extinct in the Great Age of Disruption. You may have read that two Pulitzer Prize winners this year had already left the profession by the time the prize was announced. One had investigated corruption in a tiny, cash-strapped school district for The Daily Breeze of Torrance, California. His story led to changes in California state law. He left journalism for a public relations job that would make it easier to pay his rent. The other helped document domestic violence in South Carolina, which forced the issue onto the state legislative agenda. She left the Charleston Post and Courier for PR, too. These are but two of thousands. And we are left to wonder what will happen when the old business models no longer support reporters at local news outlets? There’s an ecosystem out there and if the smaller fish die out, eventually the bigger fish will be malnourished, too. A few examples: The New York Times reporter who rattled the city this month with her report on the awful conditions for nail salon workers was given a month just to see whether it was a story, and a year to conduct her investigation. Money bought time. She began, with the help of six translators, by reading several years of back issues of the foreign language press in this country… and began to understand the scope of the problem. She took up her reporting from there. Big fish, like The New York Times, can amplify the work of the foreign language press and wake the rest of us up. A free press, you see, doesn’t operate for free at all. Fearless journalism requires a steady stream of independent income.It was the publisher of the Bergen Record, a family-owned paper in New Jersey who got a call from an acquaintance about an unusual traffic jam on the George Washington Bridge. The editor assigned their traffic reporter to investigate. (Can you believe? They had a traffic reporter!) The reporter who covered the Port Authority for the Record joined in and discovered a staggering abuse of power by Governor Chris Christie’s minions. WNYC Radio picked up the story and doggedly stuck to it, helped give it a larger audience and broadened its scope to a pattern of political malfeasance that resulted in high-profile resignations and criminal investigations into the Port Authority. Quite a one-two punch: WNYC won a Peabody Award, the Record won a Polk. A Boston Phoenix reporter broke the story about sexual abuse within the city’s Catholic Church nine months before the Boston Globe picked up the thread. The Globe intensified the reporting and gave the story national and international reach. The Boston Phoenix, alas, died from financial malnutrition in 2013 after 47 years in business. So once again: How can strong independent journalism thrive when independent outlets can’t afford to pay reporters, writers or producers a living wage; or when websites ask them to post four or five items a day; or when they leave journalism school and take jobs logging algorithms at Facebook (what does that even mean?). What happens to a society fed a diet of rushed, re-purposed, thinly reported “content?” Or “branded content” that is really merchandising — propaganda — posing as journalism? A free press, you see, doesn’t operate for free at all. Fearless journalism requires a steady stream of independent income. Allow me to speak from personal experience. After I left government in 1967 — including a stint as White House press secretary — it took me a while to get my footing back in journalism. I can assure you: I found the job of trying to tell the truth about people whose job it is to hide the truth almost as complicated and difficult as trying to hide it in the first place. Unless you’re willing to fight and re-fight the same battles until you go blue in the face, drive the people you work for nuts going over every last detail again and again to make certain you’ve got it right, and then take hit after hit accusing you of “bias,” there’s no use even trying. You have to love it, and I have. And still do. Forty years ago my team and I produced the first documentary ever about the purchase of government favors by PACs — political action committees. For the final scene, we unfurled yard after yard of computer printouts across the Capitol grounds, listing campaign contributions to every member of Congress – including several old friends and allies with whom I had worked during my time in government. You could hear the howls all the way to kingdom come. Even members of Congress who had just recently voted to create PBS were outraged. This and other offenses by kindred journalists in public television prompted Richard Nixon and his communications director Pat Buchanan to try to shut off the oxygen. Nevertheless, early in the Reagan years, we produced a documentary called The Secret Government. Our reporting exposed an interlocking network of official functionaries, spies, mercenaries and predators, ex-generals and profiteers working outside the legitimate institutions of government to carry out foreign follies without regard to public consent or congressional approval. We followed that one with High Crimes and Misdemeanors about the Iran-Contra scandal. Republicans accused public television of committing — horrors! — journalism. Well into the next decade they invoked both documentaries as they threatened PBS funding. When we documented illegal fundraising by Democrats in 1996 – in a documentary we called Washington’s Other Scandal because it wasn’t about sexual antics in the White House – this time it was the Clinton administration that howled. But taking on political scandal is nothing compared to what can happen if you raise questions about corporate power in Washington. Working on a Frontline documentary about agriculture we learned that the pesticide industry was behind closed doors trying to dilute the findings of a National Academy of Sciences study on the effects of their chemicals on children. When word of our investigation got around the industry, they mounted an extensive and expensive campaign to discredit our reporting before it aired. A Washington Post TV columnist took a dig at the broadcast on the morning before it was to air that evening. He hadn’t even seen the film and later confessed to me that his source had been a top lobbyist for the chemical industry. Some public television managers were so unnerved by the blitz of misleading information about the documentary that they had not yet broadcast or even watched, that they protested its production to PBS with letters that had been prepared for them by the industry! We spent more than a year working on another documentary called Trade Secrets which revealed how big chemical companies had deliberately withheld from workers and consumers information about toxic chemicals in their products. We weren’t peeking through the keyhole; we had the documents. We confirmed that major American companies were putting human lives at risk. We showed what the companies knew, when they knew it and what they did with what they knew — they deep-sixed it. Our reporting portrayed pervasive corruption in the chemical industry and raised profound policy implications from living under a regulatory system designed by the industry itself. The attack on us was well-funded, deceitful and vicious. To complicate matters, the single biggest recipient of campaign contributions from the chemical industry – over 20 years in the House of Representatives — was the very member of Congress who had jurisdiction over PBS appropriations. Fortunately, we hadn’t used any public funds to produce the documentary, the leadership of PBS again held firm, our report aired — and won an Emmy for investigative journalism. But remember: I had an independent stream of income – from a handful of foundations that believe democracy needs journalism, and from my sole corporate sponsor of almost 30 years, Mutual of America Life Insurance Company. Before Mutual, I had lost three corporate funders because of broadcasts that offended their CEOs, directors, customers or their cronies in high office. Now, I can tell you that losing your underwriter can send an independent producer to the showers, end your career and — more deadly — unconsciously distort your intuition about what is permissible the next time you think about producing another documentary. Self-censorship is all the more insidious when you don’t recognize that you have been infected. But Mutual of America had my back. Not once in almost three decades of reporting from the intersection where corporate influence touches political power did I have a single complaint from anyone at the company, even when I knew they were getting an earful from others. Consider yourself blessed if you are backed by capitalists with courage. Once upon a time the networks supported muscular investigative reporting into betrayals of the public trust. But democratic values lost out to corporate values when media giants merged news and entertainment and opened the throttle on what Edward R. Murrow called their “money-making machine.” Mind you, there was no “golden age” of broadcasting at any network, but there were enough breakthrough moments that we could imagine a future in which subjects treated in the books being honored here this evening — subjects that extend the moral reach of journalism — might be staples in the schedule. It wasn’t to be. And the challenge of journalism today is to survive in the pressure cooker of plutocracy. Where, in this mighty conglomeration of wealth and power, when for all practical purposes government and rich interests are two sides of the corporate state — where is the moral center of the commonwealth? How does journalism serve the endangered ideals of democracy? Can we find the audience that will dive deep — the audience that rebels against being treated as a branded market identified by the price tag on it? How do we report on the creeping dystopia of a cynically frivolous society with a political class that has made an ideology of ignorance, demoralizes workers and disdains the future? Can journalists be both patriotic and subversive — will we cover those who seek to disrupt the workings of a dominant and ruthless over-class with the attention and enthusiasm we accord the powers that be — by whom so many journalists appear mesmerized? In an oligarchic era, you can be quickly marginalized by a corporate media and political class so comfortable in the extravagantly blended world of money, politics and celebrity that they don’t bark at the burglars of democracy, much less bite the hand that feeds them. Wrestling with these questions is unavoidable. It requires on the part of journalists a high tolerance for public or private cuffing, as well as qualities of inquiry, observation and understanding that are either supported by the organization you work for or assured by an independent stream of income. We still find great investigative reporting at certain legacy organizations. And the Web boasts some superb truth-telling. But everyone knows the digital future is precarious. As Clay Shirky once wrote: “That is what real revolutions are like. The old stuff gets broken faster than the new stuff is put in its place.” For an optimistic forecast of the possibilities I urge you to read the speech Martin Baron, executive editor of The Washington Post, delivered in April at the University of California, Riverside. For a dazzling trip to new media’s cutting edge, read the current edition of the Columbia Journalism Review, reported and written by 14 of the school’s own students. For a sobering perspective, consider the Knight Foundation’s recent third report on the status of nonprofit news ventures. Of the 14 nonprofits that it followed since the last report, three have been able to grow, four have cut staff and seven have held steady. Only one could be called a stand-out success — the Texas Tribune, with 42 full-time employees and an operating budget four times larger than any of the other organizations in the study. For the rest of the organizations in the study, however, the growth in staffing and traffic seem stalled, prompting the Columbia Journalism Review to say that if the report was a weather forecast, the prediction for nonprofit news would be partly cloudy with a chance of sun. In the face of such chaos and uncertainty, some of us have been talking a lot about how to pay for independent journalism. In moments of reverie we even imagine there are sympathetic billionaires worried about how other billionaires are buying up the political system and wonder if that concern runs deep enough to fund a multi-billion trust fund for investigative journalism – say, a new Carnegie or Rockefeller Foundation devoted exclusively to encouraging continuous scrutiny of how America is working — and for whom? Both Andrew Carnegie and John D. Rockefeller were rapacious capitalists who nonetheless invested much of their fortunes in the improving of democracy. Carnegie funded libraries all across the country — including one in my hometown of Marshall, Texas — to serve the public thirst for knowledge. Why not a modern Carnegie — even a Google – that would spread independent journalistic websites dedicated to the public’s need to know? We know that contributions from individuals, not institutions, make up most of American philanthropy, and we think some of that should be directed toward nonprofit journalism. An FCC report in 2011 found that if Americans spent one percent of their charitable giving on nonprofit media it would generate $2.7 billion a year. If community foundations put five percent of their spending toward local journalism it would generate $130 million annually. And if the foundations of the top new media corporations and their founders put five percent of their spending toward local accountability journalism it would generate $220 million annually. But we need more than money to sustain independent journalism. We need laws to ensure that reporters can protect their sources. We need to hound government at every level to respond to public records requests. We need stronger reporting requirements for corporations so that they can be held accountable. Above all, we need journalists and writers like those you honor tonight. They participate in what the iconic filmmaker John Grierson called “the articulation of our time.” No matter the technology employed, it is the deeply moved and engaged individual who can transcend the normal province of journalistic convention to see and speak truths others have missed in all that is hidden in plain sight. I am privileged to be in your company. Thank you again for inviting me. And congratulations to the recipients of the Helen Bernstein Award. Thank you for keeping the flame burning. Israel Doubles Down on Palestine: "It's All Ours"
Only a few weeks into Benjamin Netanyahu’s new government, the intense strain of trying to square its members’ zealotry with Israel’s need to improve its international standing is already starkly evident. The conundrum was laid out clearly by Tzipi Hotovely, a young political ally of Netanyahu’s recently appointed to oversee the foreign ministry on his behalf. Netanyahu is too experienced a politician to take Hotovely’s advice fully to heart himself. Having briefly spoken his mind to ensure he won the recent general election, he has now walked back a comment much criticised by the White House that he would never permit a Palestinian state. Damage control was also the reason he quickly cancelled defence minister Moshe Yaalon’s plan to create separate buses for Jewish settlers and Palestinian labourers as they return to the occupied territories at the end of a day in Israel. Unlike most in his cabinet, Netanyahu understood that, denied by his military of even the flimsiest security pretext, the historical antecedents of bus segregation were too uncomfortable, especially for Israel’s patron, the United States. The graver danger for Netanyahu is that, stuck with a cabinet of the like-minded – of ultranationalists, settlers and religious extremists – he lacks a solitary fig leaf to soften his image with the international community. In his two previous governments, he relied on such sops: Ehud Barak, his defence minister, followed by Tzipi Livni as justice minister became the sympathetic address in the Israeli cabinet craved by Washington and Europe. Both spoke grandly about Palestinian statehood, even while they did nothing to achieve it. With no veteran of the peace-process to hand, the west now faces an Israeli foreign ministry led jointly by Hotovely and Dore Gold, appointed director-general this week. Gold, a long-time hawkish adviser to the prime minister, is deeply opposed to Palestinian statehood, and even floated two years ago the idea of annexing the West Bank. The minister in charge of talks with the Palestinians – hypothetical though such a role is at the moment – is Silvan Shalom, another Netanyahu intimate who publicly rejects the idea of two states and supports aggressive settlement building. Other key ministries affecting Palestinian life are similarly burdened with righteous – and outspoken – extremists. Shortly before announcing his bus segregation plan, Yaalon suggested that Israel, in dealing with Iran, might ultimately follow the example set at the end of the Second World War by the US, as it dropped nuclear bombs on Hiroshima and Nagasaki. Yaalon’s deputy, Eli Ben Dahan, a leading settler rabbi, refers to Palestinians as “sub-human”. Ayelet Shaked, who spoke in genocidal terms against Palestinians in Gaza last summer, calling them “snakes”, now oversees Israel’s justice system, the sole – and already feeble – form of redress for Palestinians struggling against the occupation’s worst excesses. Other ministers are no less dogmatic in their fanatical opposition both to Israel signing an agreement with the Palestinians and to the US signing one with Iran. The self-evident absurdity of diplomacy in these circumstances may be one reason why Tony Blair, the already deeply ineffective Middle East peace envoy, threw in the towel this week. Similarly, Barack Obama is certain to find the new Israeli government an even bigger headache than Netanyahu’s previous two. While the US tries to reach a deal on Iran’s nuclear programme and revive peace talks between the Palestinians and Israel – however futile such a process may be – Israeli ministers will be in a contest to see who can make most mischief. Netanyahu, already an unloved figure at the White House, will now find no one across the Israeli cabinet table helping him to apply the brakes. The irony is that, just as the White House gears up for another 18 months of humiliation and sabotage from Netanyahu and his government, Obama is showering Israel with gifts, as part of its long-standing “security” doctrine. Last week, it was reported, the US agreed to provide Israel with $2 billion worth of arms, including bunker-buster bombs and thousands of missiles, to replenish stockpiles depleted by Israel’s sustained attack on Gaza last summer that killed more than 2,000 Palestinians. The news broke just as United Nations officials reported that unexploded ordnance was still claiming lives in Gaza nearly a year later. According to the Israeli media, the US is also preparing to “compensate” Israel with other goodies, including possibly more fighter planes, if Netanyahu agrees to restrain his criticisms over an expected deal with Iran in June. And Washington averted last week a threat to Israel’s large, undeclared nuclear arsenal by blocking the efforts of Arab states to convene a conference to make the Middle East free of nuclear weapons by next year. The lesson drawn by Netanyahu should be clear. Obama may signal verbally his disquiet with the current Israeli government, but he is not about to exact any real price from Israel, even as it shifts ever further to the fanatical right. Jonathan Cook won the Martha Gellhorn Special Prize for Journalism. His latest books are “Israel and the Clash of Civilisations: Iraq, Iran and the Plan to Remake the Middle East” (Pluto Press) and “Disappearing Palestine: Israel’s Experiments in Human Despair” (Zed Books). His website is www.jonathan-cook.net http://www.jonathan-cook.net/. Calling the Tune: Whose Money Put Stephen Harper in Power? As the renowned Republican backroom operator Mark Hanna noted back in the late 19th century, "There are two things that matter in politics. One is money, and I can't remember the other." Indeed, the fantastically wealthy Koch brothers proved in the recent U.S. congressional vote that organizing billionaires to buy elections is a lot easier than herding cats. The Kochs raised $290 million from America's mega-rich to win control of Congress, and are now raising a further $889 million in a bid to buy the Oval Office. Here in Canada, we have tougher rules restricting the role of money in politics. But the Boy Scout aura surrounding our election financing laws appears to have lulled us into a bit of a coma. With a federal election looming, two pressing questions involving the role of money in Canadian politics are attracting surprisingly little media attention. The first: who owns Stephen Harper? This isn't a philosophical enquiry. It's a straightforward question about the identity of the secret donors who paid the bill for Harper's rise to power, first as leader of the Canadian Alliance and then the Conservative party. Donors contributed more than $2 million to the prime minister's two leadership bids, but the identities of some of the major donors have never been publicly disclosed, according to Ottawa-based corporate responsibility advocacy group Democracy Watch. The group notes that there was nothing illegal about the donations under the election laws of the time. But anyone who believes that those secret donors don't have a favoured place in Harper's heart (such as it is) probably also believes that Mike Duffy has always lived in a little cottage in P.E.I. 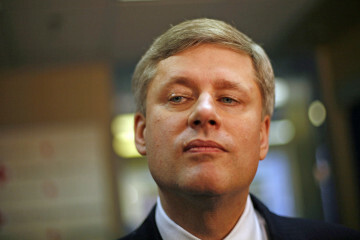 In the 2002 Canadian Alliance leadership race, Harper disclosed some of his donors but kept secret 10 of the major ones. A list of donors to Harper's Conservative party leadership race two years later was at one point posted on the party's website but has since been removed. At the time of those races, it was legal for leadership contenders to receive unlimited donations from corporations, including foreign-owned businesses operating in Canada. "Big business and [its] executives could have given Harper hundreds of thousands of dollars in donations," says Democracy Watch co-founder Duff Conacher, who is currently a visiting professor at the University of Ottawa's School of Political Studies. Although there's no legal requirement for disclosure, Conacher argues that Harper should divulge the names of his donors for the same reasons of ethics and transparency that he so loudly trumpeted in his first election campaign. Shouldn't Canadians know, for instance, if Harper's early leadership bids were significantly bankrolled by, say, the Koch brothers, who are among the largest lease-holders of Alberta's tar sands and therefore have a huge financial stake in preventing Canada from limiting greenhouse gas emissions? Have Harper's radical policy departures in areas like energy, the environment and the Middle East been unduly influenced by large donors? And if not, why the secrecy? On another election financing front, there's been little outrage over the fact that the Harper government just eliminated a key law that was aimed at countering the power of Big Money in Canadian politics. The law -- under which Ottawa paid political parties a small $2 subsidy for every vote they received -- was widely recognized as by far the most democratic aspect of our election financing framework, since it ensured that every vote cast in a federal election had some impact. Even if someone voted for a party that didn't win, that voter managed to direct a small government subsidy to his or her chosen party. These subsidies added up to millions of dollars and were a key source of political funding, having the effect of giving equal weight to every vote no matter how rich or poor the person casting it. So, naturally, Harper scrapped it. The next federal election (expected in the spring or fall) will be the first in which this quintessentially democratic aspect of our election financing laws no longer applies. Of course, poorer folks still have the full legal right to take advantage of other government subsidies in our election financing system -- except that they lack the money necessary to do so. Individuals making contributions to political parties receive generous government subsidies through the tax system. An individual donating $400, for example, gets $300 back in tax savings. But you have to have a spare $400 in order to play this game. That's why only 2 per cent of Canadians make political donations. Not surprisingly, most of these contributors are in the upper-income brackets. So the bulk of the tax subsidies -- which totalled $20 million in the 2009 election -- go to this wealthier group, which enables them to increase their influence over our elections. In fact, all aspects of our election financing system involve government subsidies. But only one -- the now-removed pay-per-vote subsidy -- distributed the subsidy in a way that didn't favour the wealthy. And Harper has also just increased the subsidy for wealthier Canadians by raising the limit on political donations from $2,400 to $3,000 a year ($4,500 in an election year). The new rules also hike the amount candidates can donate to their own campaigns from $1,200 to $5,000, and allow leadership candidates to donate $25,000 to their own campaigns. Of course, the wealthy are able to influence the political process in other ways, too, most notably by shaping the public debate through their ownership of the media and by threatening to withdraw their capital from the economy if laws they don't like are enacted. In the recent U.S. congressional elections, the Koch brothers helped secure the victory of an unlikely band of far-right extremists who control both the House and Senate. Among some 3 million political ads for both parties, there wasn't a single mention of the issue of income inequality -- either for it or against it, says Sam Pizzigati, editor of a newsletter on inequality at the Washington-based Institute for Policy Studies. The rich have effectively declared that subject -- and the implication that they should face higher taxes -- out of bounds. Given the extraordinary grip of the wealthy on so many aspects of society, why on earth wouldn't we want to hold onto a law that, at least in one small way, gave a homeless person the same political power as a billionaire? Linda McQuaig is an author and journalist. She is the NDP candidate for Toronto Centre in the 2015 federal election. This column was first published in NOW Magazine. “Nope, nope, nope,” was Australia’s Prime Minister, Tony Abbott’s answer to the question whether his country will take in any of the nearly 8,000 Rohingya refugees stranded at sea. Abbott’s logic is as pitiless as his decision to abandon the world’s most persecuted minority in their darkest hour. “Don’t think that getting on a leaky boat at the behest of a people smuggler is going to do you or your family any good,” he said. But Abbott is hardly the main party in the ongoing suffering of Rohingyas, a Muslim ethnic group living in Myanmar, or Burma. The whole Southeast Asian region is culpable. They have ignored the plight of the Rohingya for years. While tens of thousands of Rohingya are being ethnically cleansed, having their villages torched, forced into concentration camps and some into slavery, Burma is being celebrated by various western and Asian powers as a success story of a military junta-turned democracy. “After Myanmar moved from dictatorship toward democracy in 2011, newfound freedoms of expression gave voice to Buddhist extremists who spewed hatred against the religious minority and said Muslims were taking over the country,” reported the Associated Press from the Burmese capital, Yangon. That “newfound freedom of expression” has cost hundreds of people their lives, thousands their properties, and “another 140,000 Rohingya were driven from their homes and are now living under apartheid-like conditions in crowded displacement camps”. While one may accept that freedom of expression sometimes invites hate speech, the idea that Burma’s supposed democracy has resulted in the victimisation of the Rohingya is as far from the truth as it gets. Their endless suffering goes back decades and is considered one of the darkest chapters in Southeast Asia’s modern history. When they were denied citizenship in 1982 - despite the fact that it is believed that they descended from Muslim traders who settled in Arakan and other Burmese regions over 1,000 years ago - their persecution became almost an official policy. Even those who take to the sea to escape hardship in Burma find the coveted salvation hard to achieve. “In Myanmar, they are subjected to forced labor, have no land rights, and are heavily restricted. In Bangladesh many are also desperately poor, with no documents or job prospects,” reported the BBC. And since many parties are interested in the promotion of the illusion of the rising Burmese democracy - a rare meeting point for the United States, China and ASEAN countries, all seeking economic exploits - few governments care about the Rohingya. Despite recent grandstanding by Malaysia and Indonesia about the willingness to conditionally host the surviving Rohingya who have been stranded at sea for many days, the region as a whole has been “extremely unwelcoming,” according to Chris Lewa of the Rohingya activist group Arakan Project. “Unlike European countries - who at least make an effort to stop North African migrants from drowning in the Mediterranean - Myanmar's neighbors are reluctant to provide any assistance,” he said. Sure, the ongoing genocide of the Rohingya may have helped expose false democracy idols like Noble Peace Prize winner, Aung San Suu Kyi - who has been shamelessly silent, if not even complicit in the government racist and violent polices against the Rohingya – but what good will that do? The stories of those who survive are as harrowing as those that die while floating at sea, with no food or water, or, sometimes even a clear destination. In a documentary aired late last year, Aljazeera reported on some of these stories. “Muhibullah spent 17 days on a smuggler's boat where he saw a man thrown overboard. On reaching Thai shores, he was bundled into a truck and delivered to a jungle camp packed with hundreds of refugees and armed men, where his nightmare intensified. Bound to shafts of bamboo, he says he was tortured for two months to extract a $2,000 ransom from his family. Human rights groups report on such horror daily, but much of it fails to make it to media coverage simply because the plight of the Rohingya doesn’t constitute a “pressing matter”. Yes, human rights only matter when they are tied into an issue of significant political or economic weight. Yet, somehow the Rohingyas seep into our news occasionally as they did in June 2012 and later months, when Rakhine Buddists went into violent rampages, burning villages and setting people ablaze under the watchful eye of the Burmese police. Then Burma was being elevated to a non-pariah state status, with the support and backing of the US and European countries. It is not easy to sell Burma as a democracy while its people are hunted down like animals, forced into deplorable camps, trapped between the army and the sea where thousands have no other escape but “leaky boats” and the Andaman Sea. Abbott might want to do some research before blaming the Rohingyas for their own misery. So far, the democracy gambit is working, and many companies are now setting offices in Yangon and preparing for massive profits. This is all while hundreds of thousands of innocent children, women and men are being caged like animals in their own country, stranded at sea, or held for ransom in some neighbouring jungle. ASEAN countries must understand that good neighborly relations cannot fully rely on trade, and that human rights violators must be held accountable and punished for their crimes. No efforts should be spared to help fleeing Rohingyas, and real international pressure must be enforced so that Yangon abandons its infuriating arrogance. Even if we are to accept that Rohingyas are not a distinct minority - as the Burmese government argues - that doesn’t justify the unbearable persecution they have been enduring for years, and the occasional acts of ethnic cleaning and genocide. A minority or not, they are human, deserving of full protection under national and international law. While one is not asking the US and its allies for war or sanctions, the least one should expect is that Burma must not be rewarded for its fraudulent democracy as it brutalizes its minorities. Failure to do so should compel civil society organizations to stage boycott campaigns of companies that conduct business with the Burmese government. As for Aung San Suu Kyi, her failure as a moral authority can neither be understood nor forgiven. One thing is sure, she doesn’t deserve her Noble Prize, for her current legacy is at complete odds with the spirit of that award. The following is an announcement of a Jewish Herem (excommunication) signed by Jewish Voice For Peace (JVP) targeting one of America’s leading human rights activists, Alison Weir. The letter was leaked to me by three different JVP Chapter Leaders who, apparently, are experiencing fatigue with JVP’s thought policing. According to my informers, the letter was written by Rebecca Vilkomerson, JVP’s Executive Director. It was sent to the 40 chapter leaders of JVP. My JVP sources told me that the letter wasn’t intended to be publicized. After all, The Protocols Of The Elders of ‘Anti’ Zion are better communicated in a clandestine manner. Jewish Voice for Peace has chosen not to work with you because our central tenet is opposition to racism in all its forms, and you have chosen repeatedly to associate yourself with people who advocate for racism. 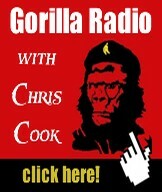 You have been a repeat guest of white supremacist Clay Douglas on his hate radio show, the Free American. Clay Douglas is concerned primarily with the survival of the White race and sees malign Jewish influence everywhere. His racist, anti-Jewish, and anti-gay rhetoric can be found across the front pages of his multiple websites. In the course of your appearance with Clay Douglas on August 25, 2010, for example, you were silent when Douglas invoked the Protocols of the Elders of Zion and engaged in a racist diatribe against Jews. Your repeated appearance on this show (April 23 and August 25, 2010; February 9 and May 18, 2011) show that you knew his extremist views and chose to continue the association. Your troubling associations and choices further include giving interviews to a range of far-right outlets including The American Free Press, which the Southern Poverty Law Center has identified as a hate group, and the anti-gay, anti-Jewish pastor Mark Dankof. One of your articles appeared in an anthology that was promoted by the infamous Holocaust-denial organization, the Institute for Historical Review. We see no evidence that you have disavowed any of these outlets or institutions. Our movement must be built on a foundation of love, justice and equality for all people. It should not and cannot win by fueling or endorsing any form of hate, whether against People of Color, gays, Jews, Muslims or anyone else. At Jewish Voice for Peace, we are particularly sensitive to the long history of anti-Jewish oppression as well as the ways that Palestinian liberation work is frequently tarred with false charges of anti-Semitism. Just as we call out the hateful associations of those who seek to perpetuate injustice against Palestinians, as a movement we must also hold the line against those who promote the false notion that Palestinian liberation can be won at the expense of others. If anti Semitism is best understood as the Goyim’s reaction to Jewish bad behavior, JVP shouldn’t be surprised by the tidal wave of resentment it provokes amongst peace lovers and dissident voices across the political spectrum. The Jewish organization has been behaving badly for some time. It has engaged in an orchestrated and systematic attempt to derail the Palestinian discourse. As if this were not enough, JVP has also been chasing, smearing and harassing the most dedicated voices and activists in the solidarity movement, people such as Greta Berlin, George Galloway, Ken O’Keefe, yours truly and many others. Alison Weir, the legendary activist and founder of If Americans Knew has become another victim of this disgraceful tribal campaign. But what was Weir’s crime exactly? Guilt by association. The elders of ‘anti Zion’ at JVP accuse Weir of being interviewed by people whom the ultra Zionist Southern Poverty Law Centre tags as ‘hate’ figures and ‘white supremacists’. Yet, they do not accuse Weir herself of racism or bigotry. Weir reacted to JVP’s accusation by stating that her “goal is to reach every single person possible with essential facts to counter the misinformation so often being disseminated to Americans.” Weir also tried to explain to the ‘Jews in the movement’ that being invited to a radio show doesn’t imply an endorsement of its host’s views. Otherwise, every person interviewed by Fox News might be tagged a Neocon, which would be totally absurd. JVP’s Herem announcement declares: “our movement must be built on a foundation of love, justice and equality for all people.” This is a beautiful sentiment but unfortunately, it contradicts the purpose of the letter that states in precise terms who should be excluded from ‘love’, ‘justice’ and ‘equality.’ It is astonishing that the ‘anti’ Zionists who lead JVP practice segregation and exceptionalism on a daily basis. Sometimes I wonder what it is about Israel or Zionism that they oppose. Vilkomerson’s rant reveals a deep morbid fear of Whiteness that resembles Bennett and Liebermann’s resentment towards Arabs and Muslims. For years I have argued that the continuum between Zionism and the so-called Jewish ‘anti’ is undeniable. In its actions, JVP has foolishly confirmed again and again that my observation is correct. The original Protocol OF The Elders Of Zion is considered to be a Tsarist forgery, but the call for a herem was composed by Vilkomerson in the name of her ‘Jews only party’ and is an authentic protocol. It is a revealing glimpse into the racist morbidity that is embedded in the Jewish Left and it sheds light on the corrosive impact of JVP in its current form. If Americans knew how so-called liberal Jews treat Weir, a leading American patriot, they might react angrily and they should. I will use this opportunity to once again remind the ‘good’ Jews that we can proceed without their moral supervision, no one asked for their tribal thought policing. What we need is for our so-called Jewish ‘allies’ to cleanse themselves of their tribal biases and instead adopt a universal ethical mindset. When this happens, they may drift away from the JVP klan. Truth may set them free. Washington’s pursuit of a ‘two-track policy’, based on combining ‘reformist policies’ toward some political formations, while working to overthrow other regimes and movements by force and military intervention, was practiced by the early Kennedy Administration following the Cuban revolution. Kennedy announced a vast new economic program of aid, loans and investments – dubbed the ‘Alliance for Progress’ – to promote development and social reform in Latin American countries willing to align with the US. 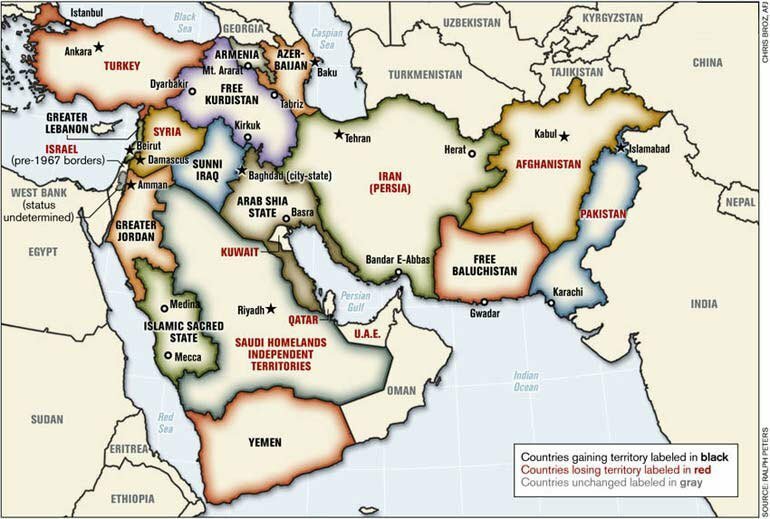 At the same time the Kennedy regime escalated US military aid and joint exercises in the region. Kennedy sponsored a large contingent of Special Forces – ‘Green Berets’ - to engage in counter-insurgency warfare. The ‘Alliance for Progress’ was designed to counter the mass appeal of the social-revolutionary changes underway in Cuba with its own program of ‘social reform’. While Kennedy promoted watered-down reforms in Latin America, he launched the ‘secret’ CIA (‘Bay of Pigs’) invasion of Cuba in 1961and naval blockade in 1962 (the so-called ‘missile crises’). The two-track policy ended up sacrificing social reforms and strengthening military repression. 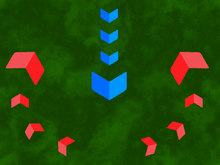 By the mid-1970’s the ‘two-tracks’ became one - force. The US invaded the Dominican Republic in 1965. It backed a series of military coups throughout the region, effectively isolating Cuba. As a result, Latin America’s labor force experienced nearly a quarter century of declining living standards. It is important to analyze how the rise of China, Russia, strong regional markets and new centers of finance have severely weakened the efforts by client regimes to realign with the US. Military coups and free markets are no longer guaranteed formulas for success in Latin America: Their past failures are too recent to forget. Finally the ‘financialization’ of the US economy, what even the International Monetary Fund (IMF) describes as the negative impact of ‘too much finance’ (Financial Times 5/13/15, p 4), means that the US cannot allocate capital resources to develop productive activity in Latin America. The imperial state can only serve as a violent debt collector for its banks in the context of large-scale unemployment. Financial and extractive imperialism is a politico-economic cocktail for detonating social revolution on a continent-wide basis - far beyond the capacity of the US marines to prevent or suppress.